We all go to the dentist for our own benefit. Whether it be for a routine checkup, for cosmetic improvements, or to relive oral pain, we expect the dentist to help us out. But have you ever thought about how YOU can help the dentist out? Dentists only ask one thing in return for treating their patients: cooperation. Here are few tips on being a great patient. A dentist office can see many patients in one day. This represents many problems that need to be solved and much pain that needs to be healed. 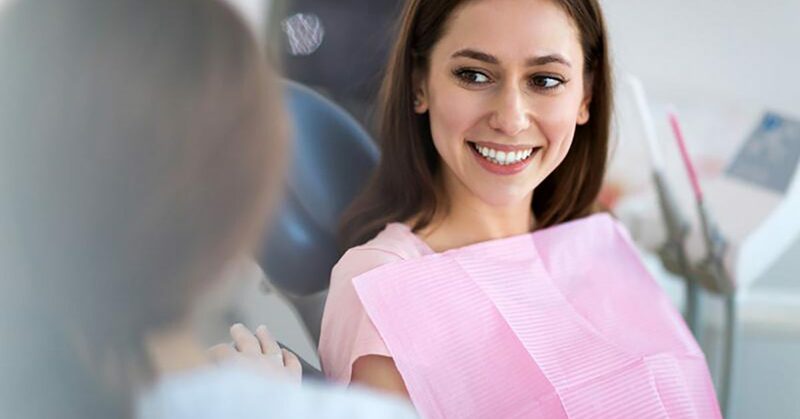 Keeping close to the schedule is a must in order for dentists to successfully treat all of their patients and give them the necessary time they need. Any hiccup in the system can cause delays in the day’s schedule. For example, one tardy patient can impact the timing of the consecutive patient and so on. Like a domino effect, one late patient can create further delays and issues. Dentists love a punctual patient. In addition to showing up on time to appointments, dentists really appreciate when patients schedule ahead of time. We understand that emergencies or sudden incidents can cause disruptions in a patient’s schedule. Our staff always works to accommodate the needs of every patient. Scheduling appointments ahead of time helps us to stay organized and ensure that every one of our patients receives the timely care needed to keep them healthy. If you do have a dental emergency, tell our staff and we will be happy to make last-minute accommodations. For most cases however, we ask that patients schedule at least a week ahead of time or more. Take care of your teeth. Failure to floss on a daily basis is the most common mistake we see! Dentists know that not every patient will take perfect care of their teeth. That’s why the world needs dentists: to take care of peoples’ teeth when regular brushing and flossing aren’t enough. Regardless, patients can make a dentist’s job much easier (and make your life better) with taking a little care of their teeth. Brushing at least twice a day is a great start. We understand how difficult flossing can be, but adding it even every other day can make a world of difference. Dentists and patients both need each other to cooperate for things to function smoothly and properly. Patients want their problems to be fixed and dentists want to provide a healing solution. It’s a match made in heaven! However, there are some small requests that dentists ask of their patients. Showing up on time, scheduling appointments ahead of time and taking care of your teeth are all characteristics of a great patient. Dentists and patients need each other for everything to work well. ©2018 Rocky Mountain Smiles P.C. Do not copy. All rights reserved.